The new “Copy List for Lightroom” will create a list of all the images in your album that is perfectly formatted for Lightroom’s search function. 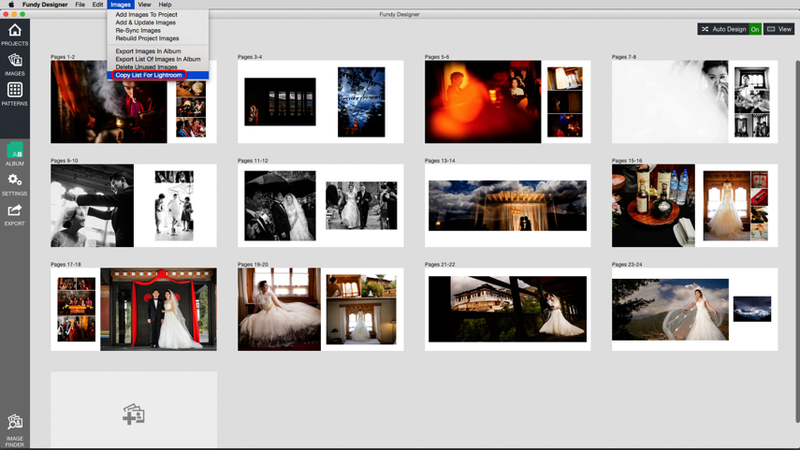 Open your wedding album project and select Images > Copy List for Lightroom. A box will appear with a formatted list of all the images used in your album. 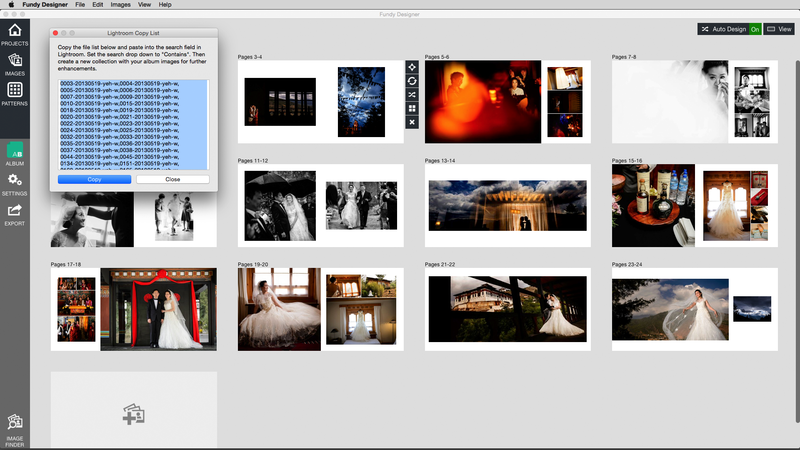 Select the Copy button (which will copy the list to your clipboard) then open Lightroom and load the folder of your client’s wedding photos. 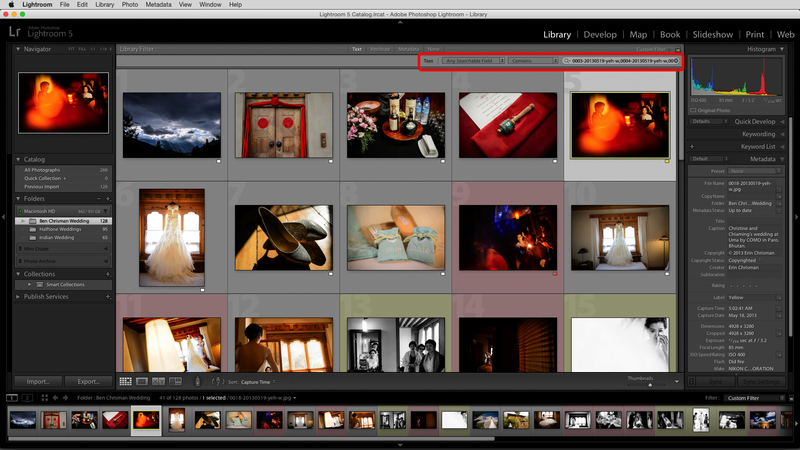 Open the Lightroom search dialogue box from the menu by choosing Library > Find. Next, change the find dropdown menu to “Contains” and paste in the pre-formatted list of images from Fundy Designer. 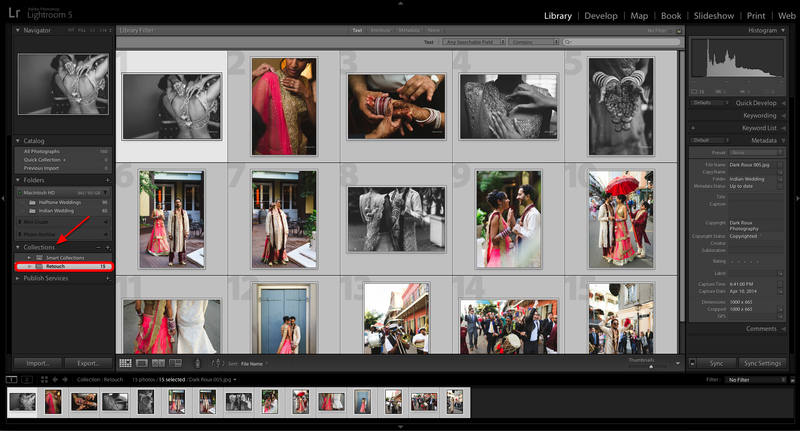 Lightroom will quickly find all the images in your wedding album. At this point, you can create a new collection of those images and do your final editing and retouching. 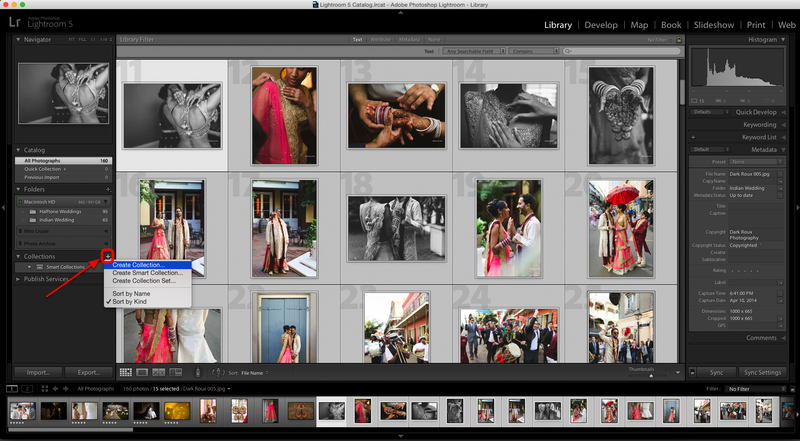 Creating a collection in Lightroom is very simple. Select all the images you want in your new collection and click the plus icon in the Collections panel to select "Create Collection" from the dropdown menu. Give your new collection a name. 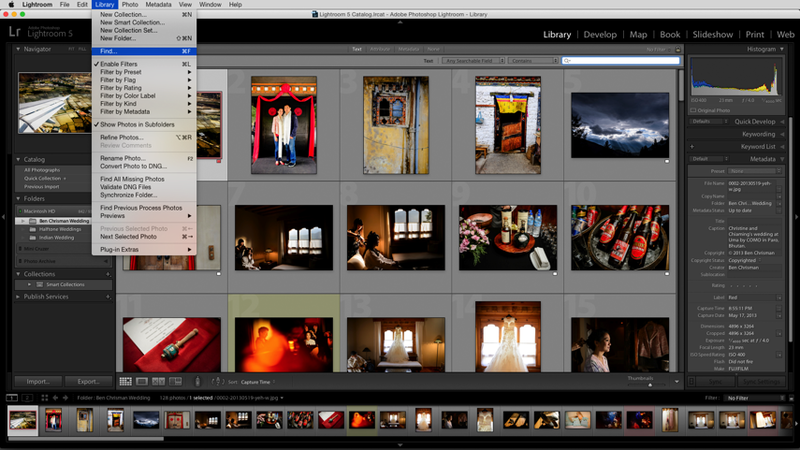 Your images will now be in a Collection where you can do your editing or retouching. 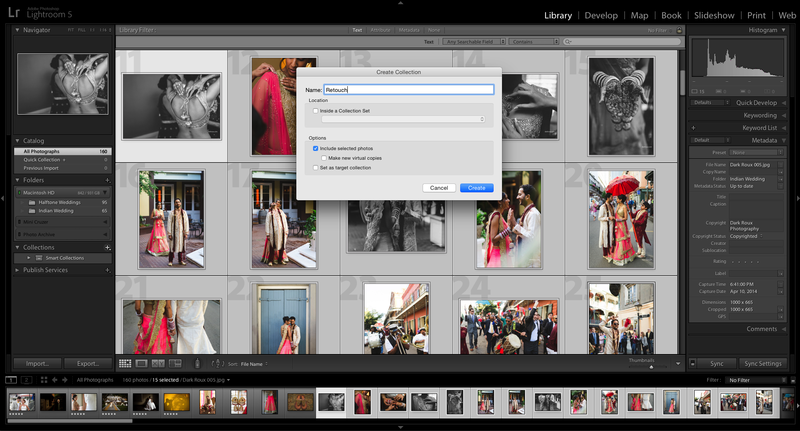 When you are finished, export your images from Lightroom and re-sync your retouched images in Album Builder. It’s a simple process that can dramatically increase your efficiency. See a video demonstration here.